Another successful evening of painting, this time just the two miniatures but still in just under 3 hours I managed to knock these out to a pretty reasonable standard. Last time we kicked around some miniatures with pulp alley I notices a lack of random adventurer types, I've plenty of bad guys and groups of specific heroes and sidekicks but many of them were more suited to urban environments rather than stomping through the darkest jungles of South America. 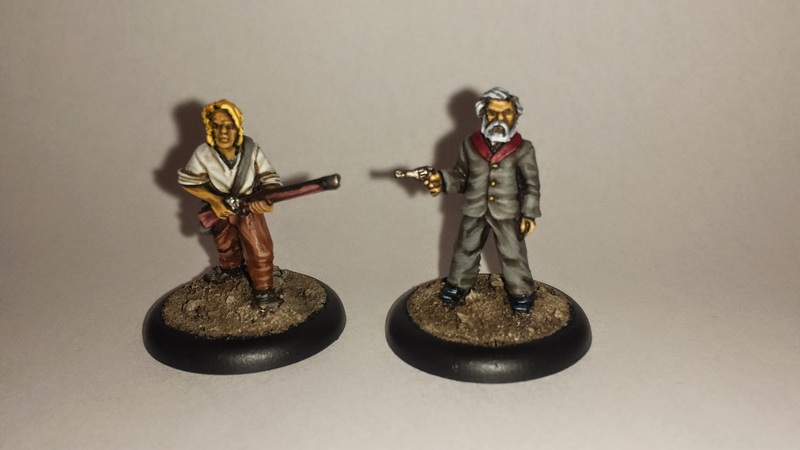 These two figures are from the Defenders of Lucknow set from Mutineer Miniatures, meant for 19th century rather than 20th I don't think they'd look too out of place even though the guy on the right has a rather antique rifle. That's a great evening's work. He has beautiful golden hair too!